Inventory optimization systems give organizations a more precise way of calculating where and when inventory should be deployed – from classifying stocking levels (buffer, replenishment, overage) based on past demand, to augmenting supplier management based upon supplier performance, to improving demand forecasting. This post addresses how new inventory technology enables you to leverage big data, which translates into reductions in inventory investment, improved customer satisfaction, optimized throughout and overall cost containment. Internet and mobile technologies now allow businesses to amass enormous datasets within their ERP systems. ERP solutions improve data manipulation, yielding insights into your customers and your operations – but there’s a limit to the data they can crunch, manipulate and analyze. ERP systems can house great volumes of inventory data, but they’re typically limited to tracking product and alerting management when levels are getting low. New tools have the ability to harness the power of big data, making your organization more agile and responsive. Inventory optimization goes well beyond monitoring fluctuations in supply and demand: today’s most sophisticated systems can monitor, process and analyze millions of SKUs, thousands of global supply chains and warehouses at multiple locations here and abroad. Because so many factors have real and potential impact on inventory levels, systems are designed to synthesize and use data generated from everywhere within an ERP system. Integrating an inventory optimization tool with the existing ERP system lets you use big data to forecast demand more accurately and much faster than previously possible. This enables the system to recommend optimal inventory levels for sales availability, taking into account risks of stock-outs and overages and to provide inventory specialists with advance warnings about stock levels approaching numbers that are too high or too low. The inventory optimization tool also makes recommendations about optimal restocking schedules, and can provide unit-level thresholds for automated ordering and replenishment. It allows inventory specialists to monitor changes and initiate cross-functional responses to alerts when action needs to be taken. Senior management’s focus on cost control and customer satisfaction is driving the adoption of more powerful inventory management systems, which enables the organization to provide superior customer service while stocking as little inventory as possible. Inventory management is a multifaceted, and typically unwieldy proposition, involving complex networks of cross-disciplinary needs, extensive and diverse product and service mixes, and fluctuating supply and demand matrices. Utilizing new, flexible, and more refined tools that harness big data facilitates dynamic inventory optimization, demonstrably improving customer service, maximizing throughput, and increasing market share, while decreasing inventory investment and lowering costs. With the right tool, inventory managers can significantly improve overall competitiveness and profitability. 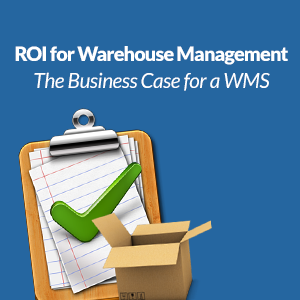 Join supply chain visionary, Chris Barnes, as he reviews the importance of having a Warehouse Management System (WMS), and how it is no longer an option for many companies, but a means of survival. Supply Chain Event Management (SCEM) manages and monitors many methods and activities, which means a greater need for WMS that can provide real-time activity tracking and inventory visibility.